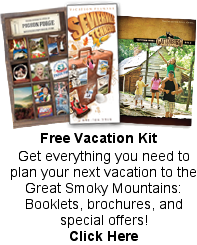 Smoky Mountain Towns offer everything you want or need to make your Smoky Mountain Getaway one to remember! Gatlinburg is set in the valley amidst a backdrop of the National Park. Gatlinburg provides the most popular entrance to Great Smoky Mountains National Park. This unique town has many places to stay for honeymooners, romantic getaways, group retreats, family reunions, business travelers. Many quality hotels line the main Parkway in downtown Gatlinburg offering standard rooms to romantic honeymoon suites. Several hotels provide meeting space and catering services for groups. Cabins in Gatlinburg are located throughout the rolling hills overlooking the downtown area. You may choose from 1 bedroom cabins to large cabins for groups. Gatlinburg has several exquisite Bed & Breakfast inns situated close to the downtown area or in the Great Smoky Arts & Crafts Community located a short distance from the heart of Gatlinburg. In downtown Gatinburg, you will find many unique shops, attractions, and great restaurants. White water rafting and ziplining are accessible from Gatlinburg. Pigeon Forge offers days of entertainment at area attractions, including the Dollywood Theme Park. Ziplines, many outlet shopping malls, lots of restaurants, and unique shops are located near the Parkway. You will find many choices for accommodations in the Pigeon Forge area, including mom and pop motels, hotel chains, cabins for honeymooners or family vacations, large cabins for groups, and resort condominiums. Sevierviile is a unique, historic town with an interesting flair. Lodging choices include cabins, motels, resort condominiums, and lodges. Sevierville also offers outlet shopping malls, craft shops, and attractions. Townsend is on the quieter side of the mountains. Mountain festivals, crafts fairs, bicycle trails, and lots of mom and pop restaurants make Townsend one of the most desirable vacation destinations in the Smokies. Townsend provides an entrance to Great Smoky Mountains National Park and is only a few miles from Cades Cove.